Show your sweet side with this angel heart locket complete with two photo panels to show off those that mean the most to you. 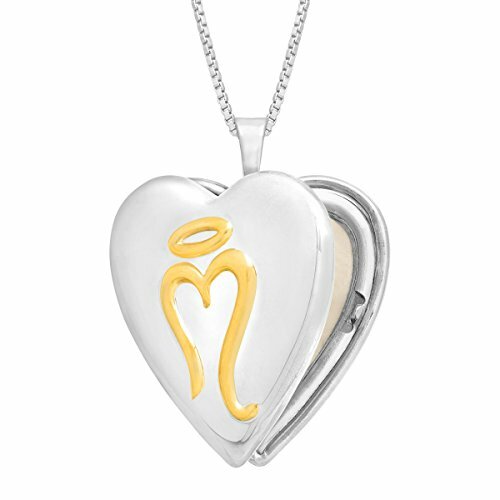 Crafted in sterling silver, the 'miracle' motif is plated in 14K gold. Piece measures 1 by 3/4 inches. Comes with a sterling silver 18-inch box chain.